Next up, it’s post-punk duo DIY grafters and all round good eggs, Massa Confusa. Ally: Exciting, exhausting, but also terrifying because I’ve been joking all year that as a musician I have to make it through 27 club. Almost there! Matt: Hectic is the best way to describe it. It started well but descended into chaos. As a band we’ve been ridiculously productive but I’m looking forward to a rest. Ally: As a band? Playing Evolution Emerging festival, and playing with Babar Luck in London. Aside from that I travelled around the north of Spain in the summer; that was pretty cool! Matt: The sky clearing at Kielder Observatory after 3 hours of fog, torrential rain and flooding…it was pretty mind blowing and totally worth waiting for. Ally: Running out of money in the north of Spain! But as a band, being asked to drop out of a support slot because a touring band got in touch with the venue to ask if they could be on the bill instead. I guess the band had more facebook likes than us. Ally: I’m going to say Life Model from Glasgow. They played 3 great gigs in Newcastle this year; one as part of the brilliant monthly Endless Window nights with Offred; one with Desperate Journalist and Slow Decades; and a charity event with Mouses, Profumo and therunningchelsea. Matt: Mammút. Not a new band but they’ve been my favourite this year. Of new ones, maybe Miracle Strip and I really enjoyed Spacehawke’s set at Little Buildings. Ally: This question would have been easier if you’d said album, and I’m going to cheat and pick 3: Björk – Stonemilker, Desaparecidos – The Left Is Right, and Kobadelta – Watch What You’re Doing. Matt: Sufjan Stevens – 4th of July…mostly because of a field full of people at End Of The Road singing “we’re all gonna die”. Ally: I’ve kind of let films pass me by this year, but I’d have to say Star Wars. Matt: Aaaaaaaah!’ is definitely worth a watch but i’d go for A Girl Walks Home Alone At Night …although i’m seeing Star Wars tonight. Ally: That’s difficult given the fact that I’ve been averaging like 3 gigs a week for the past year. Warpaint at Sage Gateshead in March was a highlight though. But if you mean gigs we’ve played, then probably our show at Stockton Music Lounge with Mouses and Casual Threats. Matt: We played with Nomihodai and Fingers Crossed in Durham, it was like being 15 again. 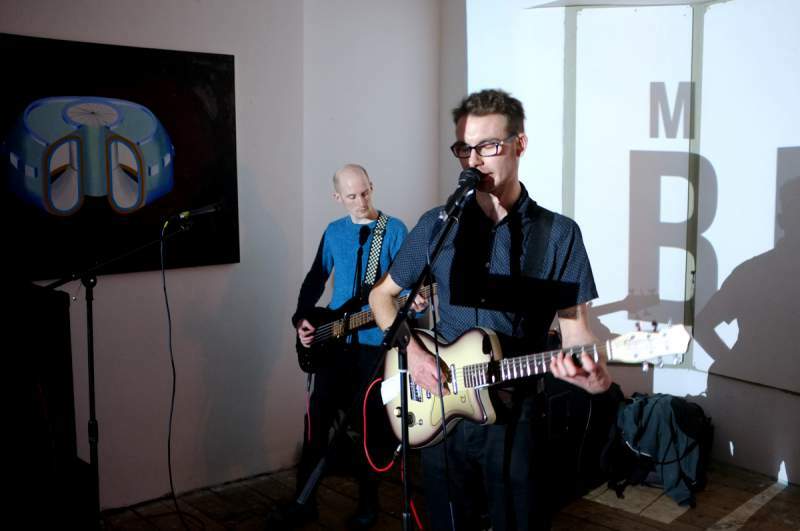 Ally: We’re continuing our monthly gig series as Massa Confusa Presents (January 30th is the next one), releasing the 2nd of an annual compilation series in February of bands we put on this year, playing a mini tour, and releasing a new album. Matt: New album, new rats (RIP Oscar), more snow please?